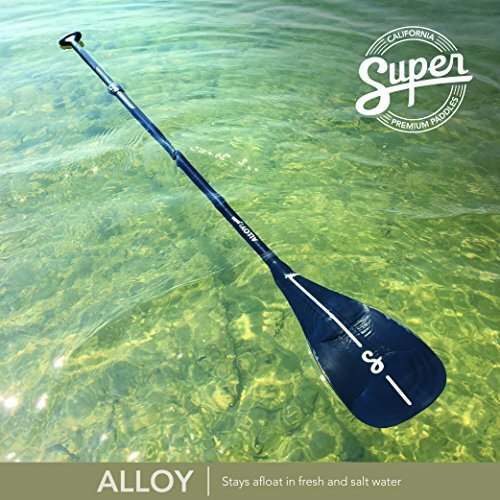 PERFECT FOR KIDS – Our Alloy Junior paddles are designed for youth and adults under 5’4″. 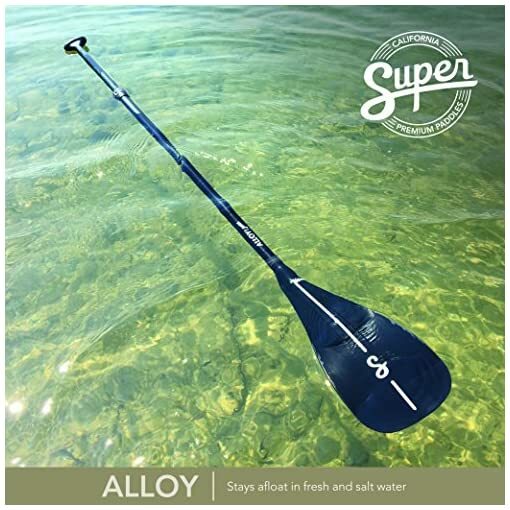 It features the same high-quality construction as our standard size aluminum paddles, but with a smaller blade, shorter length and lighter weight. 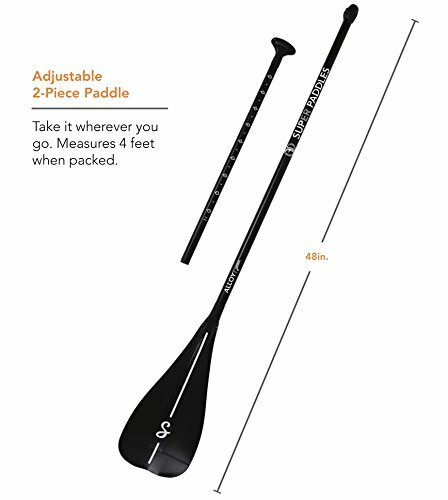 The paddle easily adjusts between 57 and 73 inches, and weighs under 2 pounds. DURABLE CONSTRUCTION THAT ENDURES PUNISHMENT – Our rugged, easy to use paddles are built to endure punishment inflicted by even the most energetic kids. 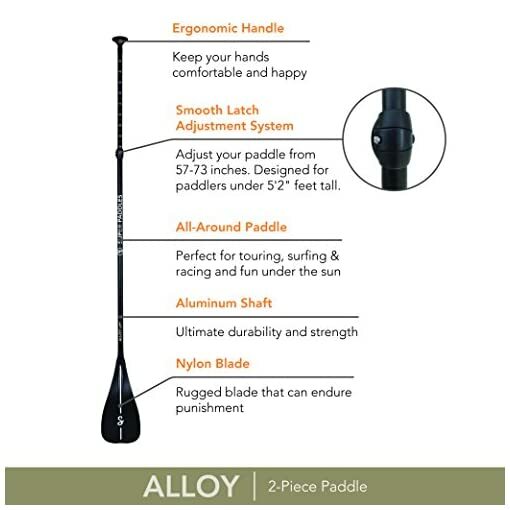 Our paddles are constructed with a lightweight, aircraft-grade aluminum shaft and a durable nylon blade. Our paddles float in fresh and salt water alike. They are built to last. 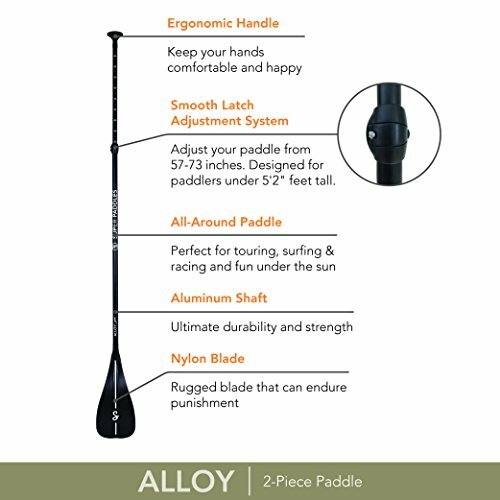 TRAVEL & STORAGE – Go on an adventure with your paddle! This paddles breaks down into 2 pieces, with the longest piece at 48 inches. Store it in the corner of your garage or throw it in the back of your car with ease. 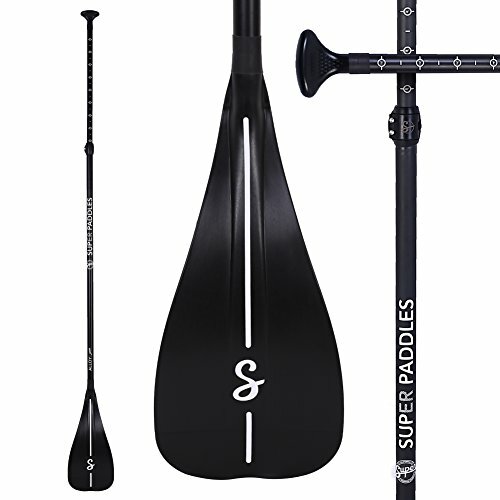 We’re a homegrown California business on a mission to provide you the best service and highest quality SUP paddles. Take advantage of our summer sale today! 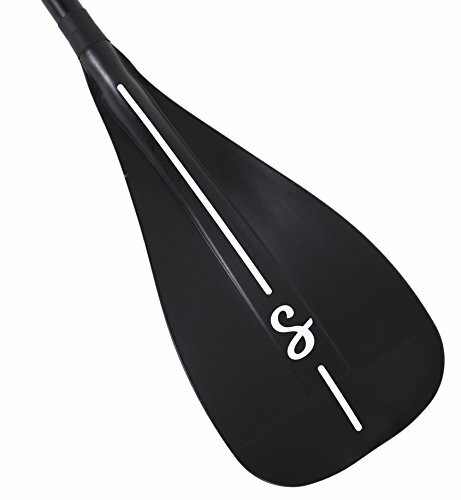 FOCUS ON DESIGN & QUALITY – We designed the Alloy Junior as an entry-level paddle perfect for kids new to paddleboarding. No detail is too small for us when we design our paddles.